Vintage City Camo Paratrooper Cargo Shorts feature super soft yet durable washed cotton polyester twill blend. Cargo Shorts have six pockets with zipper fly and inside waistband drawstring. These cargo shorts feel great and look great. 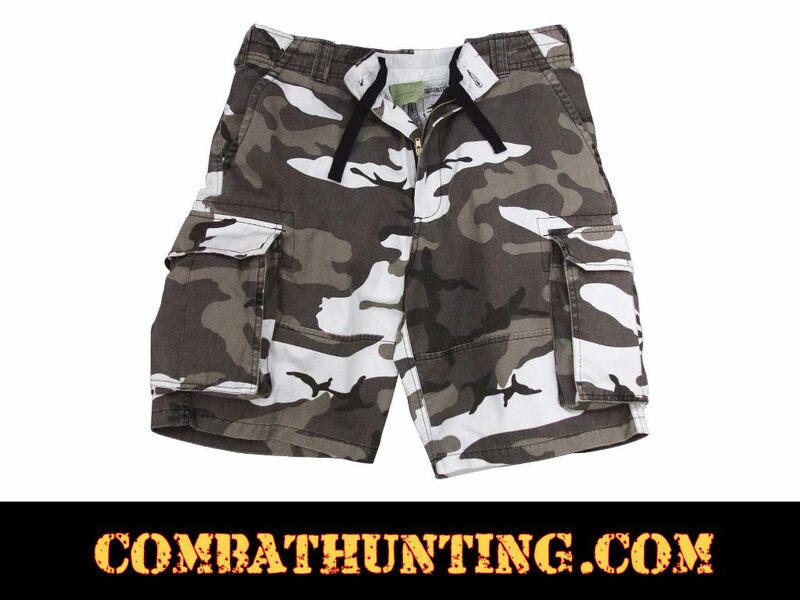 We have Rothco Vintage Paratrooper Cargo Shorts in sizes XS - 4XL, in solid and camo colors.